Jim was a loving husband and father and an active member of First United Methodist Church and the Friendship Sunday School Class. Jim was born in Asheville, NC. Jim graduated from Lee Edwards High School in Asheville, NC, graduated from Western North Carolina University at Cullowhee, NC. District Manager of Kreskee Inc.(retired). Jim coached soccer with parks and recreation program and served with boy scouts. Jim enjoyed sports including bowling, baseball, soccer, football, and basketball. He loved animals and enjoyed spending time with his his dogs and showing walking horses during his lifetime. He also enjoyed spending time with friends and family and playing cards/ bridge. Jim is survived by his wife Rebecca Lee Banks Coffey (Becky), children Jennifer Lee Taylor (David) - Hendersonville TN, Melissa Jane DiSilvestro (Frank) Durham, NC, James Devan Coffey - Hendersonville, TN. Grandson Eli Anthony DiSilvestro (19 mo). Brother William Montgomery Coffey (Bill) Florida. Nieces Tracy Lynne Holmes, Sarah Rebecca Maney, Nephews, William Zachary Tolley, David Jonathan Tolley. Great nieces and Nephews: Jonathan Caelan Holmes, Leah SuZanne Holmes, Ezekiel Bennett Holmes, and Ruby Elizabeth Holmes. Preceded in death by parents James Montgomery Coffey (died 1995), Katherine Angel Coffey (died 1974). 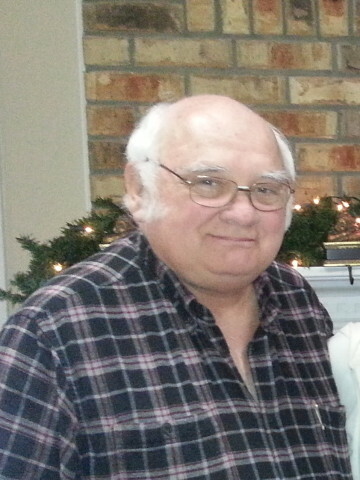 Visitation will be held on Monday at Hendersonville Memorial Garden Funeral Home Monday February 3, 2014 from 4-8pm. Service will be held at First United Methodist Church at 10am on Tuesday February 4, 2014. Burial at Pisgah View Memorial Park - Candler, NC. I am so very sorry. My heart hurts for you and your family’s loss. Although I did not know Jim, he must have been a kind and thoughtful man because he was married to you. On behalf of the SCEA family, we are so sorry for your loss. Please let us know if there is anything we can do. Laine and your SCEA family.